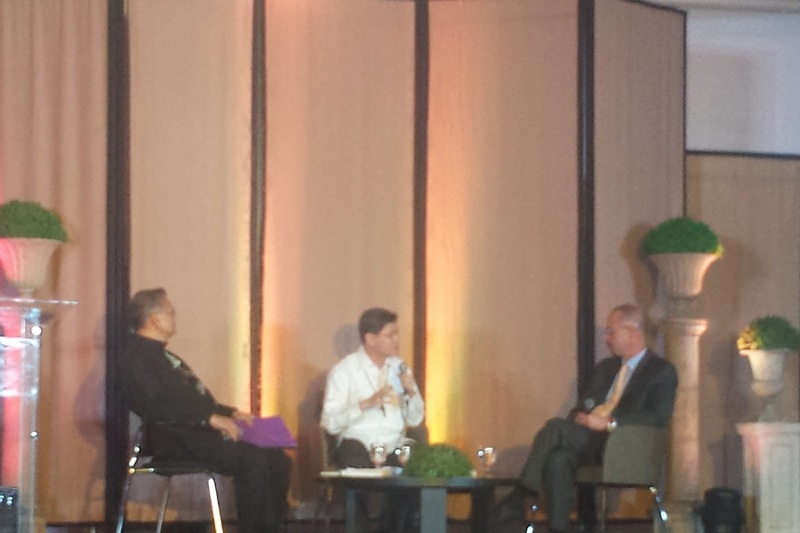 I recently attended an event entitled “Dinner for the Missions” with Luis Antonio Cardinal Tagle, Archbishop of Manila and John L. Allen, Jr, Senior Vatican Analyst of CNN and author of the Future Church last 13 March 2014 held at The Elements, Eton Centris in Quezon Avenue. Aside from the talk about the future Church, the event is also a celebration and a fund raising project for the 50th anniversary of the Divine Word Seminary in Tagaytay City. Yes I am a Catholic, but unlike other devotees, I don’t hear mass that often and attending that “religious” event was never planned. The ticket was just given to me for free and just for the sake of “wag masayang” and for the free food, I gladly said yes. I said to myself that it will be an opportune time for me to wear a bloggers hat and practice my event blogging skills. 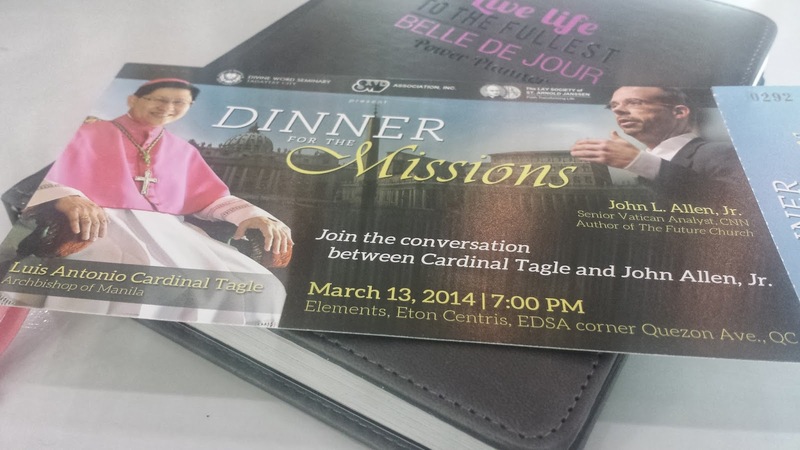 A thought struck me while listening to Cardinal Tagle’s definition of Mission. He said that we should stop complaining, instead do something to make it right. 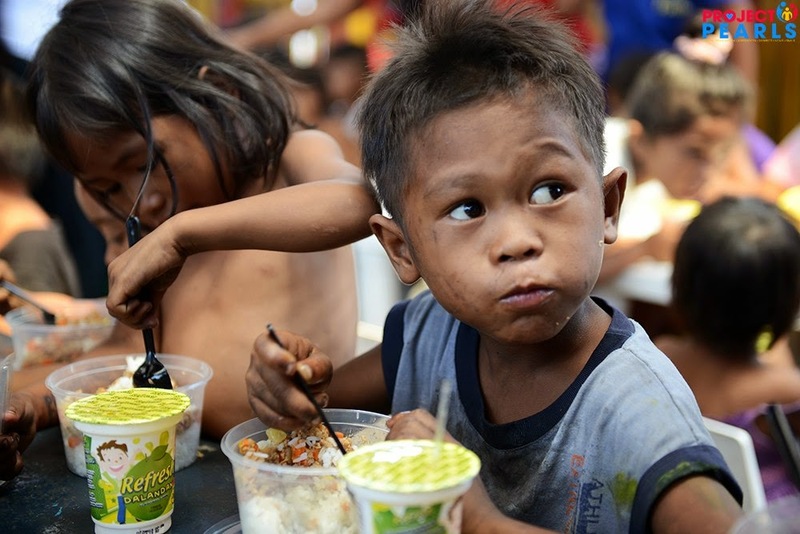 We should never complain and rant about the government not doing anything to eradicate hunger. He said that we should just do our share to help the government. He also expressed his views about Social Media, he said that the Church should maximize the use of Social Media to reach the people. Birthdays can be a platform for social change and anyone has the power to motivate others to give back to society. I encourage you to start your event for a cause campaign now and let us make a difference. Listed below are four (4) ways on how to turn your birthday into a party with a cause. I shortlisted 4 institutions that you may consider as your beneficiary. Reception and Study Center for Children (RSCC) is a residential care facility for the abandoned, dependent, abused, exploited, and orphaned children aged six years old and below. RSCC is committed in providing effective programs and services for children victims of abuse and whose life and safety are at risk, developing competence in different discipline in handling cases of child abuse, and providing appropriate placement whether it be with their families or other alternative placement. Project Pearls focuses its outreach efforts in the slum communities in Tondo, Manila, particularly in ULINGAN and Helping Land. Both communities sit on a dumpsite where children have no choice but to live with garbage, mosquitoes, flies and vermin. Children and families in Ulingan also live on soot and around toxic smoke from the charcoal factories. Young children work either at the charcoal factories and/or at the dumpsite as scavengers. For 2014, Project Pearls will be feeding between 100 to 150 children at the Pearls Day Care Center and will be distributing meals to the children working in the charcoal factories. Budget is $100 or Php 4,000. The Kaisang Buhay Foundation also provides services to expectant single mothers a hoslistic and rehabilitative service which includes food, shelter, medical care (per-natal, childbirth, post-natal through the hospital), casework and counseling, value formation and spiritual growth, skills training and personality development and family therapy. The service operates a home for single mothers called Nazareth Home that can accommodate twenty (20) single mothers at a given time. The Golden Acres, Home for the Aged provides care to senior citizens aged 60 and above, both and female who are abandoned, neglected and needy. 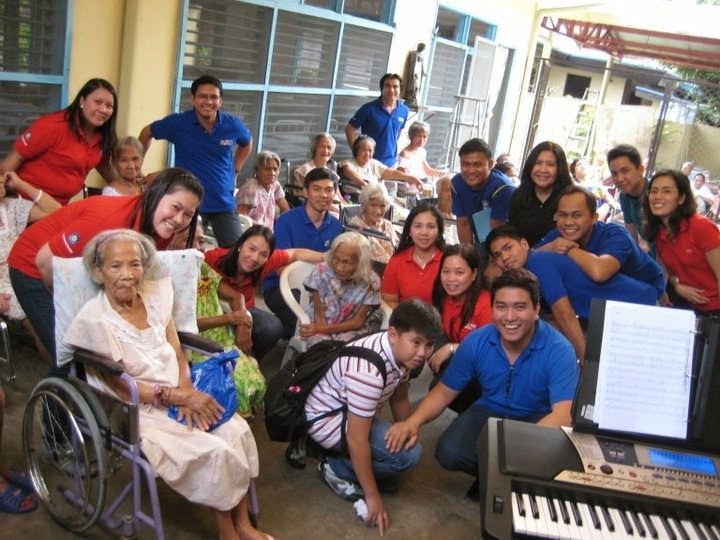 The Pag-IBIG Fund Chorale with the "Young at Hearts"
If you have any other ideas or recommendations, please leave me a comment. Who knows I might consider it for my 40th Birthday this coming October 2014. Thank you for helping.